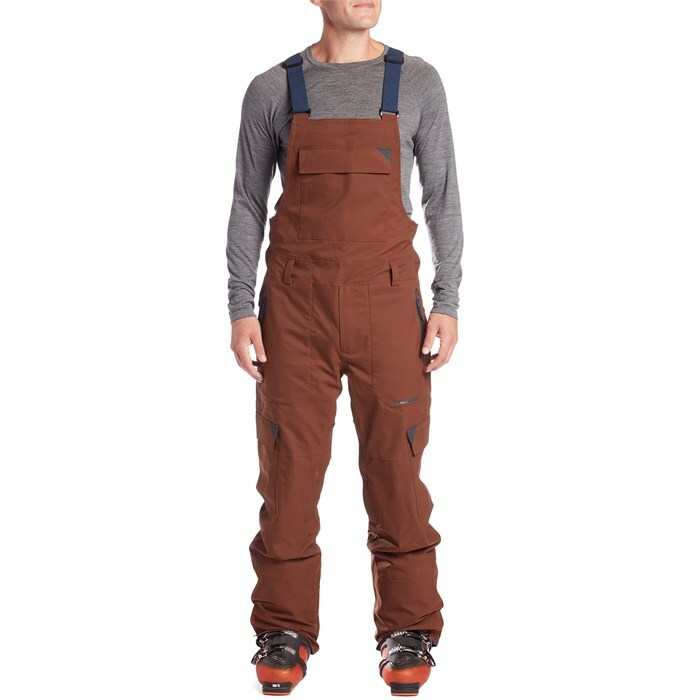 Hard driving skiers like you need tough and durable outerwear that won't let them down half way through the season, and the Armada x evo Vision Bibs are the type of pant you're looking for. No-nonsense construction, full frontal coverage, and thoughtful details like genuine YKK® Aquaguard® waterproof zippers and Schoeller® Keprotec® kick patches mean extra comfort and durability down the stretch. These two colorways only available from yours truly. Moderate Tailored Fit  Moderate tailoring that tapers to an articulated knee to optimize mobility in a fashion forward cut.